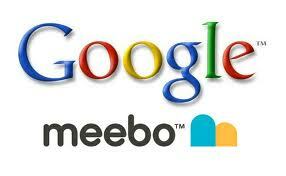 Google has just bought the Silicon Valley social start-up Meebo. Last week, Meebo was acquired by Google as part of its effort to improve its online services. Meebo was bought specifically to enhance social networking services like Google Chat and its social network Google+, an alternative to Facebook Inc.’s popular online hangout, in attracting and keeping users active within their social network. Also, Quickoffice was acquired to boost the functionality and compatibility of Google Apps like Docs, Gmail, Calendar, Google Drive and more. Meebo is a social platform that started in 2005 as a browser-based instant messaging program system for connecting users with other users through the internet, supporting multiple IM services, including Yahoo! Messenger, Windows Live Messenger, AIM, ICQ, MySpaceIM, Facebook Chat, Google Talk, CafeMom and others, but has since expanded into social publisher tools which have reached about 250 million monthly global visitors in November 2011. Based in Mountain View, California, Meebo has been used by an audience of about 100 million web users and have since raised over $70 million in venture capital. The financial terms of the deal not disclosed, but the deal was reportedly worth for roughly $100 million. There are already more than 170 million people who have created Google+ accounts since Google Plus made its debut nearly a year ago. Despite that impressive growth, engagement is certainly lower than on rival site, Facebook, with its more than 900 million users who frequent its website. Meebo had been known to work with publishers and advertisers in helping them connect with Web surfers for longer periods. Google Big Data Analytics: Does it Matter for SEO?